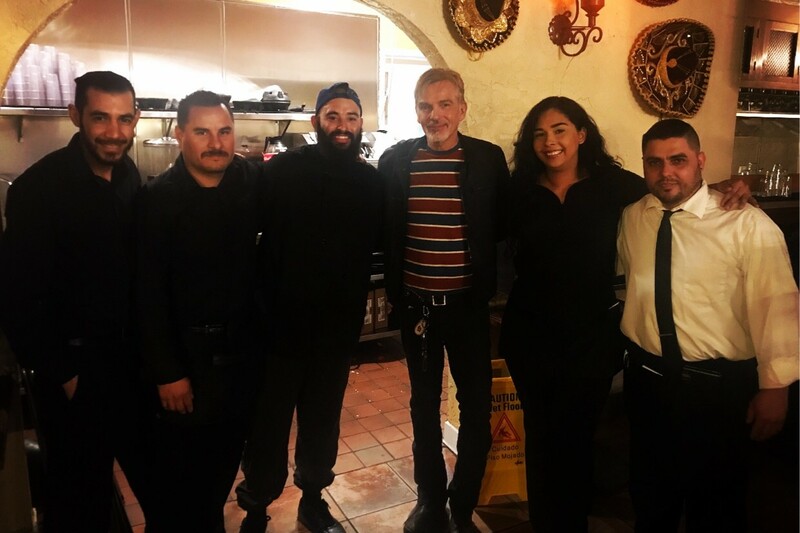 LANCASTER – Academy Award-winning actor Billy Bob Thornton dined in Lancaster Sunday night at Don Cuco Mexican Restaurant on West Avenue K. Staff at the restaurant are huge fans of the actor/songwriter/musician/filmmaker… so they asked for a picture and he obliged. “He was super sweet and generous to everyone, including other people dining there,” said Fabiola Lopez. 4 comments for "Famous sighting in Lancaster!" He was probably thinking to himself, “[removed]. I just wanted to lay low, eat some Mexican food, have a beer and disappear from the world for a weekend.” Bad Santa’s a funny [removed] movie. That’s right Mr.Thornton show your fans some love I’m glad your no stuck up like most of these celebrities…When I see one I keep walking by them most of the time,I wish I could have met you, you seem real chill! is running into famous people.